New Directions Publishing Corporation, 9780811218351, 192pp. A house on the forested bank of a Brandenburg lake outside Berlin (once belonging to Erpenbeck's grandparents) is the focus of this compact, beautiful novel. Encompassing over one hundred years of German history, from the nineteenth century to the Weimar Republic, from World War II to the Socialist German Democratic Republic, and finally reunification and its aftermath, Visitation offers the life stories of twelve individuals who seek to make their home in this one magical little house. The novel breaks into the everyday life of the house and shimmers through it, while relating the passions and fates of its inhabitants. 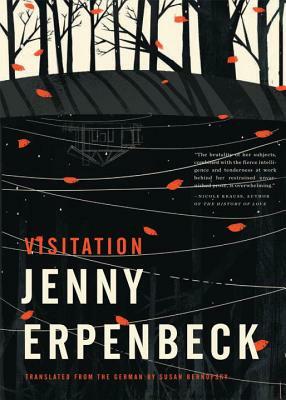 Elegant and poetic, Visitation forms a literary mosaic of the last century, tearing open wounds and offering moments of reconciliation, with its drama and its exquisite evocation of a landscape no political upheaval can truly change.